All other options add 150 lbs (68 kg) to weight. 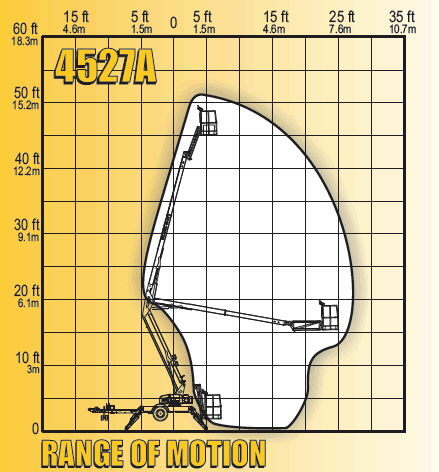 * Please call us for any questions on our boom 4527a towabale articulating rentals in Cedar Rapids IA, Iowa City, Mt. Vernon, Marion, Hiawatha, and eastern Iowa.